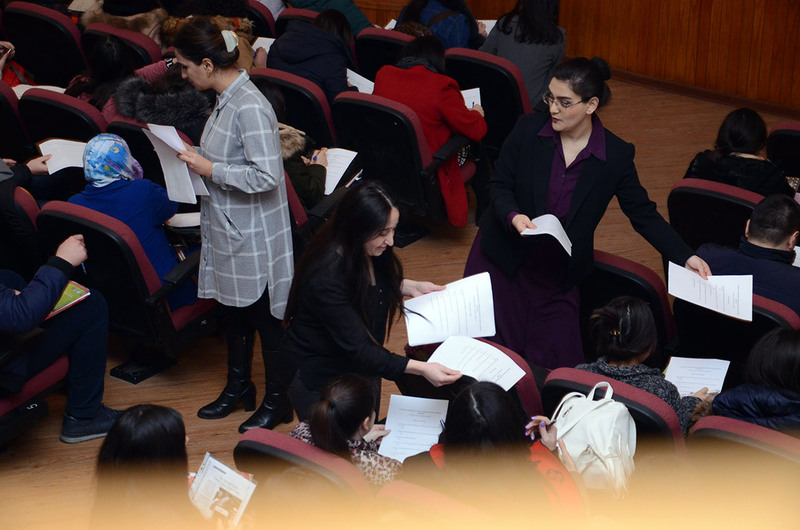 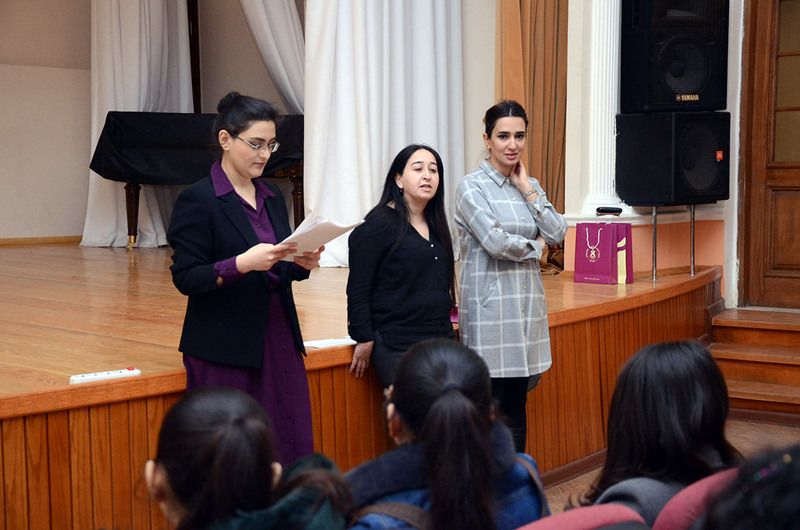 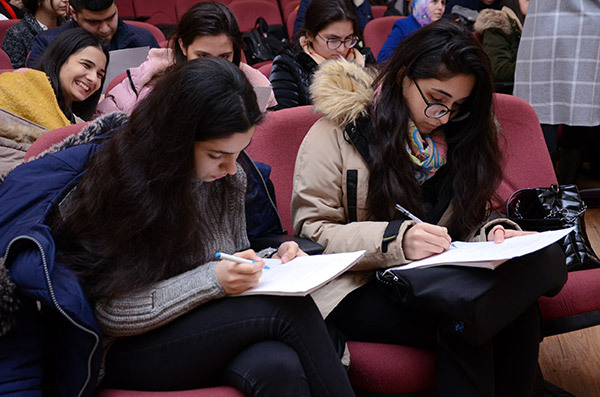 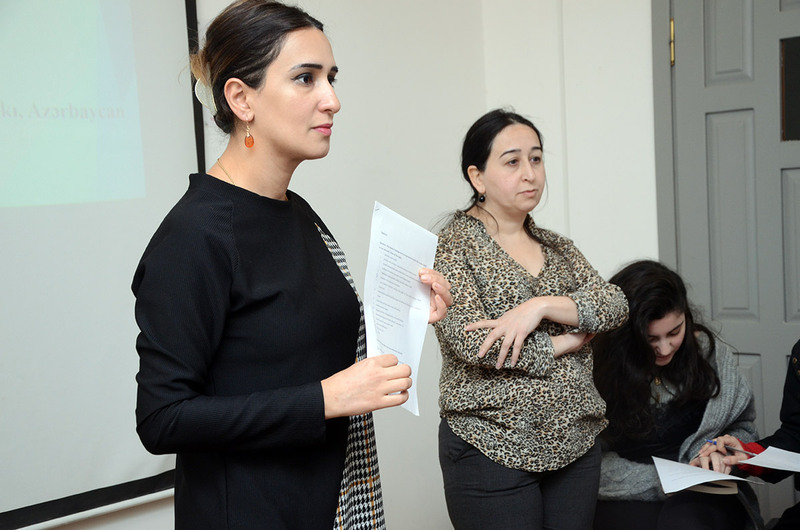 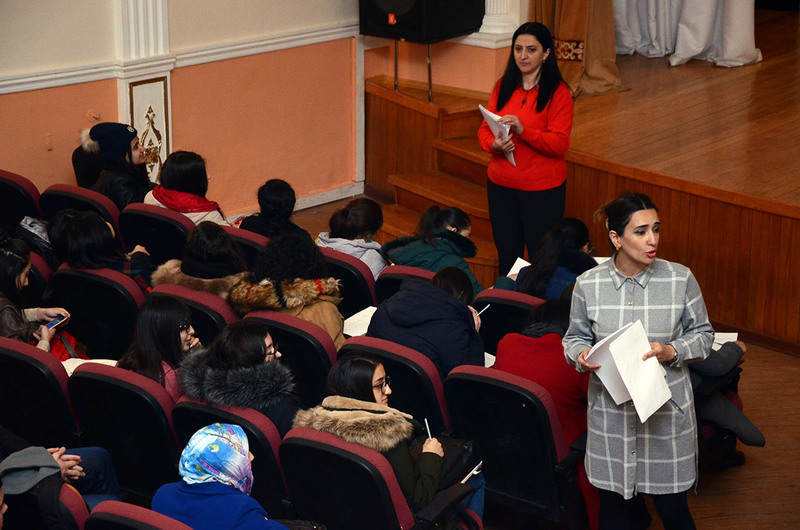 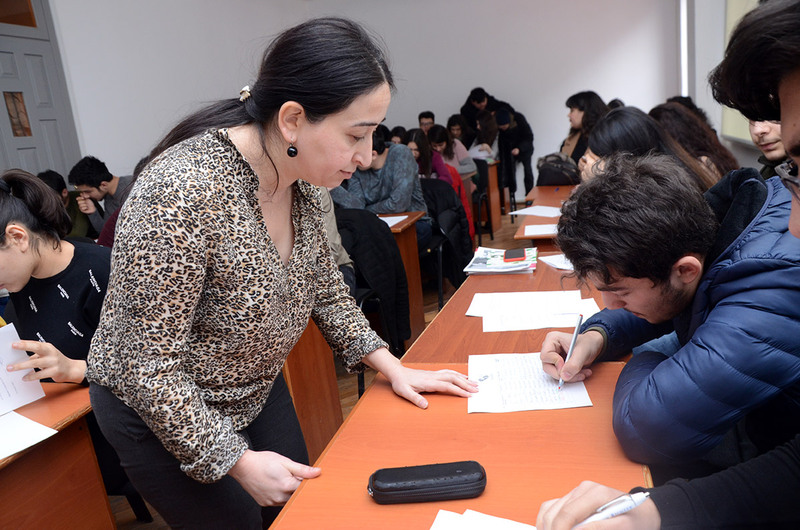 On February 20 and 21, 2019, for the purpose of enlightening students about the Ombudsman Office at Khazar University, first and second-year students were involved in a workshop which was conducted by Malak Karimova, Coordinator at the Department of Psychology and Director of Psychology Center; Ulkar Bayramova, Director of Training Center; Milana Abbasova, Program Coordinator at the Department of English Language and Literature; Lamiya Nazarova, Head of the Division for Admission and Student Affairs and Ombudsman for Students; and Sabina Allahveranova, Manager at Career Center. 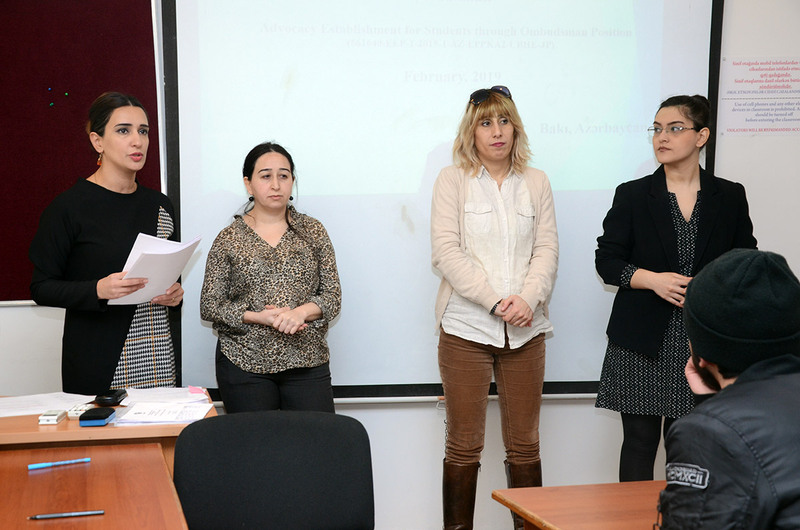 The University associates informed the students about AESOP Erasmus+ project since they are team members of the project. 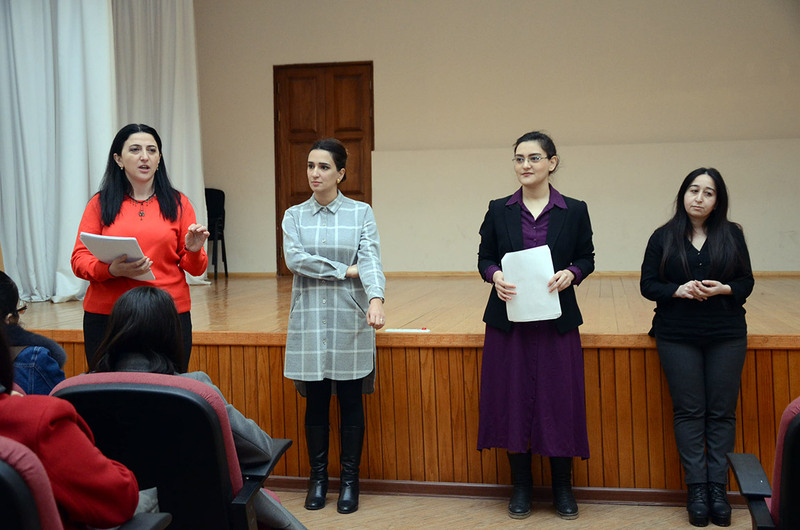 During the workshop, the associates answered the students` questions.